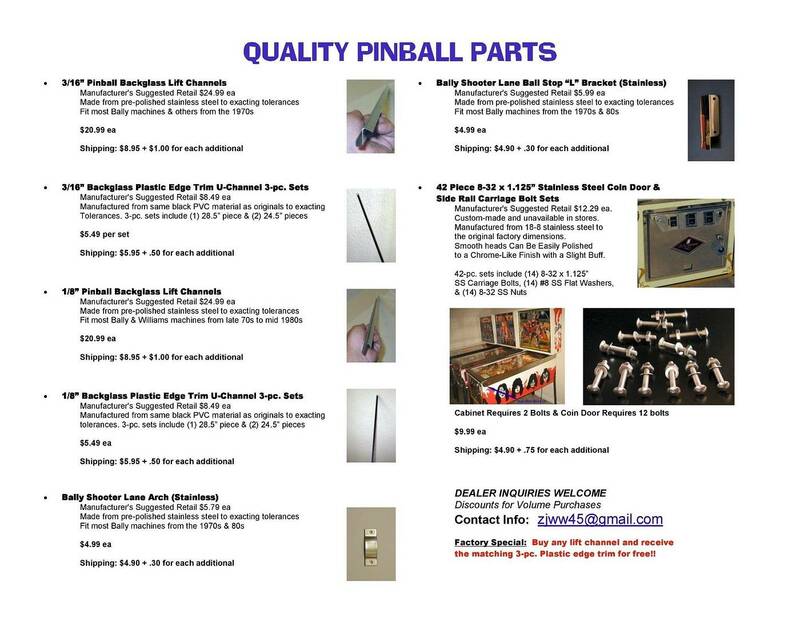 Once again I will be attending the Allentown Pinfest this year and am taking pre-orders for pinball parts available to be purchased at the show. I fly from Chicago on April 28th so all pre-orders must be placed before then. I will try to bring a few extras but to ensure everyone gets what they need it is best to pre-order by sending me a PM or email. Be sure to include your cell phone # to contact you at the show and the days you will be there. With no shipping charges the savings are significant. Save an average of around 33%! All parts listed on my flyer are currently in-stock. If you ever needed a backglass lift channel and/or the plastic edge trim, this is the time to get them. You can pay in advance using PayPal or cash at the show. These are Gatecrasher's all time market stats. Top Notch stuff here folks! Some have been asking if I can cut the lift channels to shorter lengths. The answer is "yes" for no additional charge. However, any custom cut lift channels must be paid for in advance because there are no returns. Several people have asked when I will be at the show. I will be there Friday evening (probably around 4:00-5:00PM) and all-day Saturday.